The Attorney General is the State's chief legal officer and chief law enforcement officer. 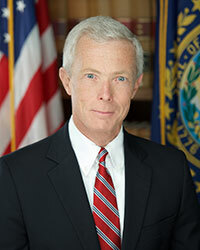 The Attorney General acts as the State's lawyer in all civil and criminal cases in the Supreme Court and is responsible for the general supervision of all criminal law enforcement in the State of New Hampshire. There are two primary Divisions within the Office of the Attorney General.